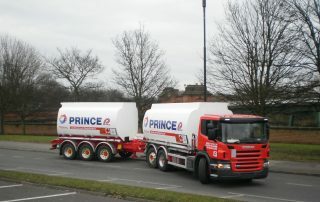 Prince Petroleum of Abbey Lane, Leicester, choose Keltruck Ltd to add an unusual new Scania to their fleet. 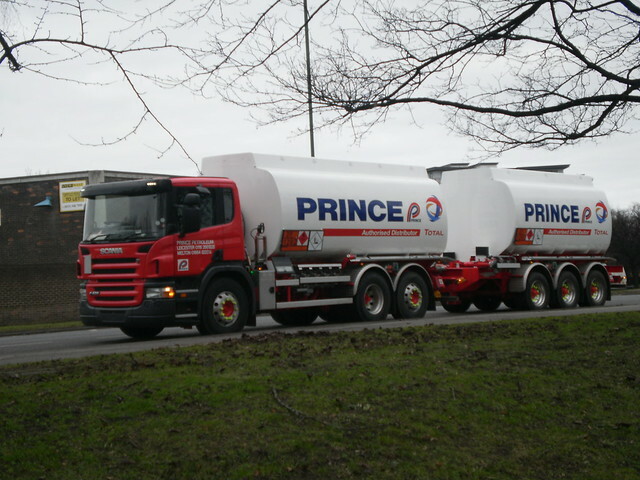 The rear-steer 6×2 drawbar combination is based on the Scania P405LB6X2*4MNAD and replaces a 44 tonne artic. 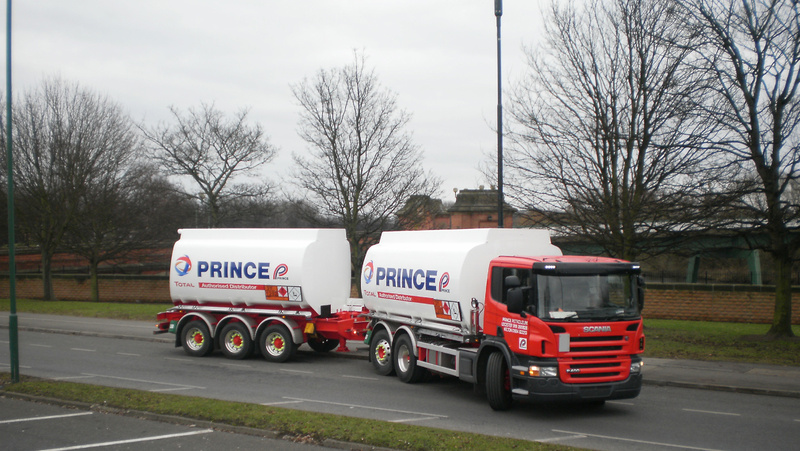 The new vehicle greater flexibility as a delivery vehicle and has an overall capacity similar to their artic it replaces with the benefit of a highly maneuverable prime mover. The vehicles was supplied with a five year ‘Support Programmes’ package which means it will have full repair and maintenance all managed from the Keltruck Nottingham Branch located just a few miles away and backed up by over 94 nationwide service points which are never more than phone call away should the driver require assistance giving full peace of mind. 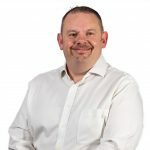 Mark also commented that the “service at Keltruck has always been very professional and we look forward to benefiting from this with the the new Scania”. David Morgan, Sales Director, Keltruck Ltd commented, “We are very pleased to supply Prince’s new drawbar outfit, and look forward to supporting them in the years ahead”. 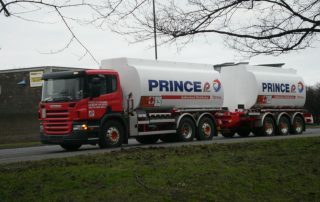 Established in 1963, Prince Petroleum is one of the few remaining independent family owned distributors as most oil suppliers are now owned by major national or multi-national companies. 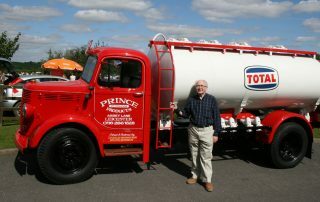 The company was founded by Vic Prince who still continues to contribute towards the company’s growth and reputation today. 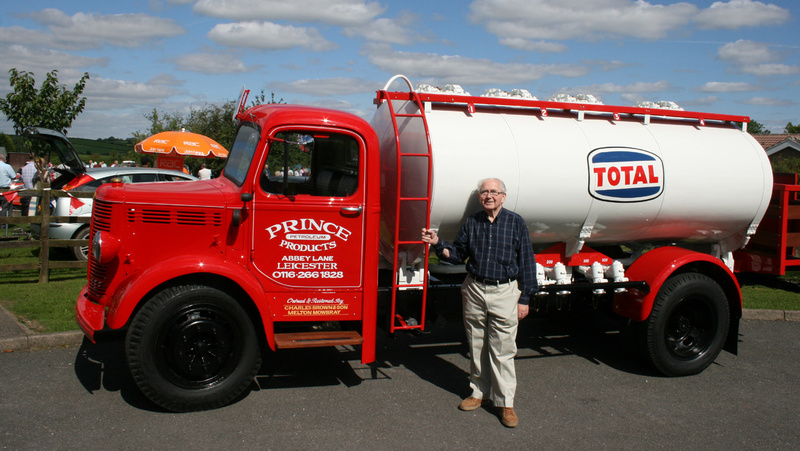 Vic Prince is pictured to the right with his first tanker from when he started Prince Petroleum back in the 60’s.